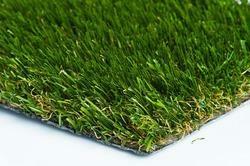 Manufacturer & Supplier of Artificial Lawn Turf Grass. Our product range also comprises of Railing Planter, FRP Planters and Stainless Steel Planters. We are a well known firm, offering Artificial Lawn Turf Grass that can resist aggressive usage without any requirement of irrigation mowing and weeding or pesticide or pest control and it is very economical as well. Also artificial lawn grass does not require much maintenance and is much more superior that original grass. The quality that we offer is unmatchable which is the reason for our cleint's satisfaction. Also the price range is under the budget.